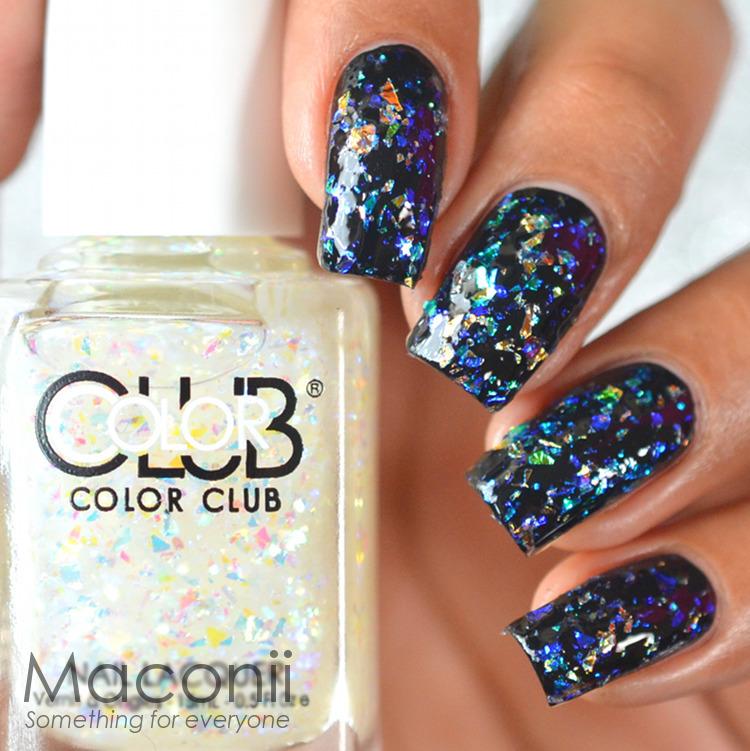 Color Club's Covered in Diamonds is an amazing polish that has all the colours of the rainbow! 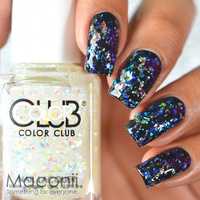 The flakes in this polish are irregularly shaped with an opal-like shimmer suspended in a clear base. 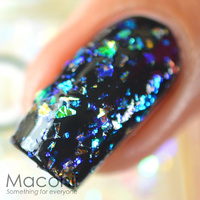 Best layered over a coloured base colour to bring out the effect. Images show Covered in Diamonds painted over a black base. 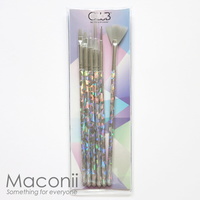 Please note: Covered in Diamonds is packed full of flakes/glitter which may feel a little dense when trying to paint. 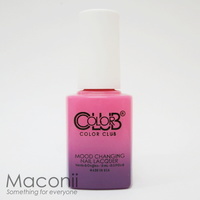 If you find it is too gloopy to work with we recommend using nail thinner to get it to the consistency of your liking. Images shown had no nail thinner added and was used as is.